Samantha Mumba, who shot to fame in 2000 with the release of her debut single and most recently seen on Celebrity Masterchef, joins the UCH Panto cast for the first time this year. Samantha Mumba’s debut single Gotta Tell You went straight to the top of the Irish, UK and US charts in 2000. An international star, she went on to sell almost 5 million copies of hits during her successful singing career. Samantha also worked with Steven Spielberg, Vinnie Jones, Roger Daltrey and Patrick Bergin during her time as an actress. Joining Samantha for his SPAR Panto debut at University Concert Hall will be Dayl Cronin, Dancing With The Stars semi-finalist and former member of Irish boyband Hometown, who will star as Cinderella’s love interest, Prince Charming. The Robert C Kelly and University Concert Hall Panto is now in its sixth year and has grown to become one of the most eagerly anticipated in the country, with a host of Irish showbiz names starring since 2012. Magic, romance, a feisty heroine, a handsome prince, dubious sisters that could do with a beauty blogger boot camp, chart hits and hilarity will all combine in Cinderella to produce the most wondrous panto ever seen! 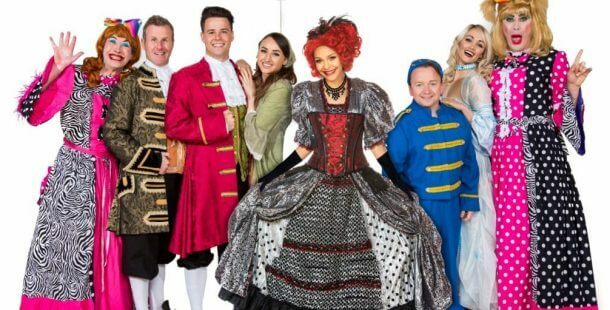 Also starring Richie Hayes as Cinderella’s BFF Buttons, Leanne Moore as the Fairy Godmother, comedian Tom O’Mahony as Dandini and Myles Breen and Richard Lynch as the hilarious (and hideous!) Ugly Sisters. Making her UCH Panto debut in a starring role will be Hayley-Jo Murphy as Cinderella!